The Latest and Comprehensive Final Fantasy Xiv Professions & Skill introduction. 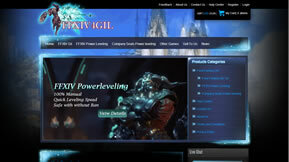 You can Check a lot of information and introduction of different kinds of Final Fantasy Xiv Professions & Skill here. Maybe you are good at playing computer games,you reace 50 in a short time.Then what will you do next time? If I were you,I have a lot of things to do then. Pick up your Relic weapon quest – Head to VesperBay, west of Horizon and find Nedrick Ironheart. He will have a quest called “Weaponsmith of Legend.” Begin this quest and continue as you’re able to. This is a long quest chain, but will ultimately yield a reward of your Relic weapon. Purchase your Grand Company weapon – Once you are max rank with your Grand Company, you will be able to purchase a level 50 weapon . This is a good idea to start off with as you hit 50. 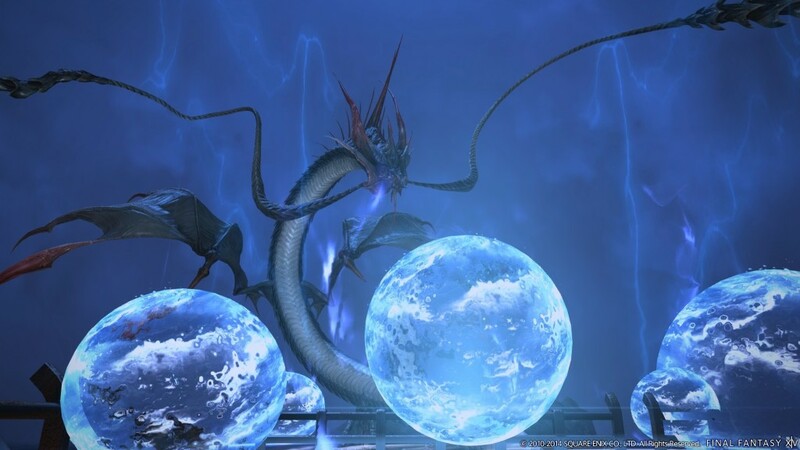 Defeat Hard Mode Primals – As you progress your end game storyline, you will be asked to defeat Primals at a higher difficulty. These Primals drop weapons and are as follows, increasing in difficulty each boss: Ifrit , then Garuda , then Titan . 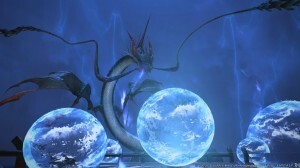 Once all Primals are defeated for each quest, you will unlock the Binding Coil of Bahamut. You are limited to earning 300x Tomestones of Mythology per weekes ; so once you reach the cap, move on to the next step. Finding a Tank that is capable of doing speed runs is the way to go. You will need 900 of these to upgrade your Relic weapon . 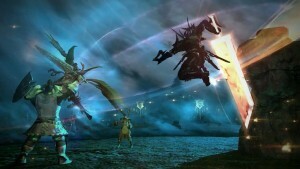 Final Fantasy XIV: A Realm Reborn is the much more successful re-launch of FFXIV. I have been playing it quite a bit lately, and in my opinion it is the most entertaining MMORPG to come out in quite some time.If you are thinking about picking up the game (which I highly recommend), I will be posting some tutorials and guides over time in between my Starcraft2 and Diablo3 posts, starting with this FFXIV power leveling guide. The first thing to mention is that in Final Fantasy XIV, you can level up every class with a single character. There are currently 8 main classes in game: Gladiator, Pugilist, Marauder, Lancer, Archer, Conjurer, Thaumaturge, and Arcanist. These are the 8 classes which you can currently level up. Advanced classes like the Monk and Bard share levels with their parent class (Pugilist and Archer in this case) so if you have a 50 Archer, you unlock Bard just by doing a quest. It is important to make this distinction because different leveling paths are recommended for different characters. You will have to level more than one class in FFXIV – not only do the advanced jobs require multiple classes as a prerequisite, but you can also use up to 5 select abilities from other classes when using your main class. Questing: Quests provide experience points much like in other MMORPGs, similar to WoW. Additionally, there are Levequests which provide experience points and are somewhat akin to daily quests. 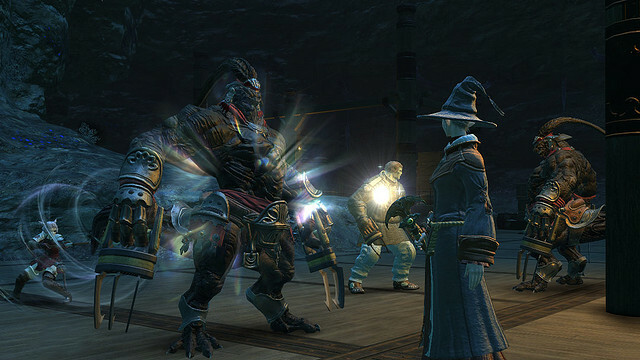 Dungeons: In FFXIV, there are a variety of 4-man dungeons spread throughout the levels that you can complete for experience points. 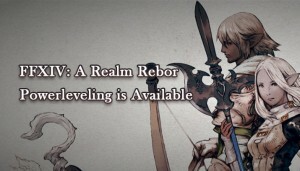 Most dungeons are unlocked by completing the main story line quest, although Nedrick Ironheart in Vesper Bay and Sibold in Ul’dah will unlock a few more dungeons you can access while leveling. Guildhest: In the Duty Finder, you will find something known as a “Guildhest”. Guildhests are essentially short instanced fights which result in experience points and gil upon completion. There are 2 Guildhests available every 5 levels starting at level 10 and ending at level 40, but you have to complete all available Guildhests to unlock the next tier, regardless of current level. FATEs: Full Action Timed Events, or FATEs, are dynamic world quests that spawn constantly throughout the game world. They are marked on the map zone wide for whatever zone you are currently in and are denoted by a pink emblem. FATEs provide a massive experience points reward upon completion, so they are a favorite for players looking to level up quickly. FATEs also provide seals for your Grand Company, which you can use for a variety of rewards and to increase your rank. You can also trade in 10,000 seals to reset a given class’s attribute points, so save up! Don’t want to fall behind,just try out it now ! Gil is very tight in Final Fantasy XIV. After completing the initial round of quests, there are not many ways for gil to be brought into the game’s economy on a daily basis. Given that crafting is expensive to powerlevel and repair bills really start to add up at level 50, a lot of players have been looking for good ways to make gil. 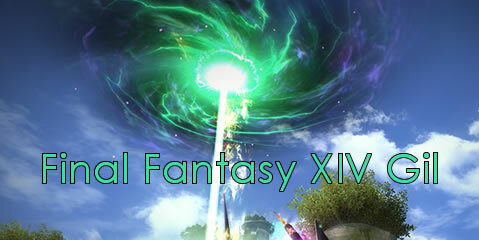 We have collected the FFXIV gil guide in order to prvide players with several methods for farming gil as Discipline of War or magic classes.Below ,u will discover 4 great methods for farming gil ranked in accordance of the sucess i had with each particular method . he Raptors are particularly good to farm because not only do they drop valuable items with big demand, but they drop these items at an extremely high drop rate. In particular, in this location we will be farming Raptor Skins and Raptor Sinew. Raptors can drop up to 3 Raptor Skins at a time as well as a single piece of sinew. Water Elementals spawn thickly with no other enemies around deep in Urth’s Fount .My theory was that perhaps crystal drop rate would be high enough on these condensed enemies to make farming them worthwhile. While farming elementals worked in FFXI.Crystal are just too easy to get via gathering in FFXIV unless the amount of Crystal offered by mining or botany significantly drops.The most effective method for u to making gil is to find your own gil making method. Did you know that you can turn in dungeon drops from level 50 4-man dungeons for approximately 150-170 Grand Company Seals? As a level 50 player, you should never have to go out of your way to farm for Grand Company seals thanks to this trick. The supply and provisioning officer (known as a Sergeant) found at camps around the world (these officers are only found at camps that have Levemetes) will allow you to undertake “Expert Delivery Missions”. The officer in your company’s Grand Company headquarters will also allow you to undertake these “missions”. When you click “Expert Delivery”, a list of dungeon drops comes up that you can trade in in exchange for seals. While the lower level equipment does not provide a noticeable amount, gear from Amdapor Keep offers ~170 seals for each slot. 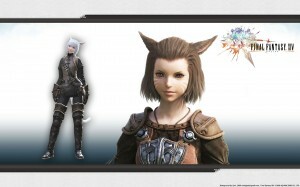 The key here is turning in armor and weapons and crafting for ffxiv gil from Amdapor Keep and The Wanderer’s Palace. Since most players already have Darklight gear, this equipment usually rots during Tomestone dungeon runs. 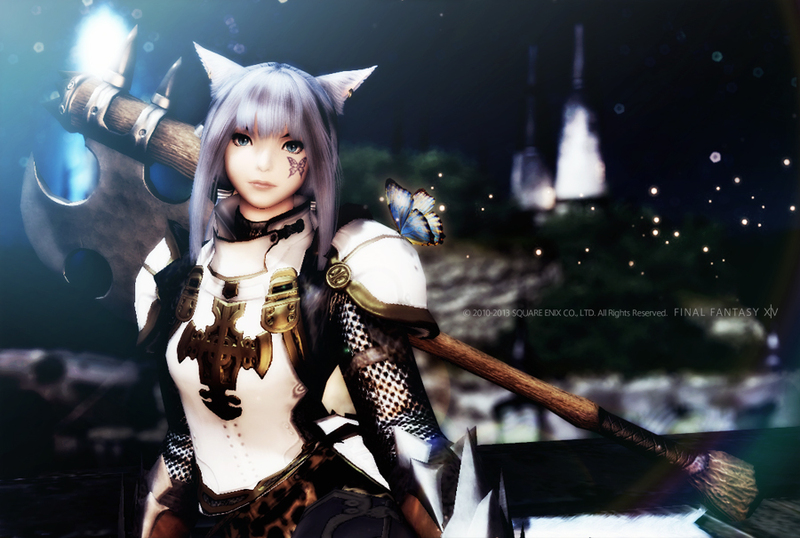 Most players do not realize that they can turn in gear for seals and those that do often either do not care or have leveled up multiple classes and are using these dungeon drops as alt gear. Note: Only so many items will appear on the “Expert Delivery” menu. If you are hoarding a bunch of low-level dungeon drops, you may need to turn those in to clear up room for higher level items to show. If you have 100 possible items that could be turned in, only about 30 or so will show at once. If you have too many items, each time you turn in an item, a new spot on the list will be cleared. Regardless of the reason why most players do not roll on these dungeon drops, the total amount of seals you can get from a run really adds up. You can get 4 pieces of gear from a single Amdapor Keep or The Wanderer’s Palace run, which converts into ~700 seals. Given that players need to do 8-10 runs a week to cap Tomestones of Mythology, this gives you the opportunity to earn ~6000-7000 Grand Company seals each week just by capping Tomestones. 1)Engineering or Survival Manual II: These manuals provide you with 50% bonus experience when crafting or gathering, respectively. If you plan on leveling up these professions, there is no reason not to build up Grand Company seals. 2)The Keeper’s Hymn: This item costs 10,000 seals and resets your bonus attribute point allotment. This is very useful for all players level 50 as your priorities change as you level up and get gear. Namely, all non-tanks who are using all item level 70 or less gear will want points in Vitality to help survive encounters. Since ilvl 90 gear (AF2, Allagan, and Relic +1) gear has so much Vitality, once you get a piece or two of it you will want to re-allot your stat points entirely into your primary stat as this will increase your damage. 3)Future Updates and Gear: Eventually, new levels of promotion will be available for the Grand Companies. The new level of promotions will also allow for new equipment and accessories. You want to be at the cap of 50,000 seals when the cap is raised so that you can get a head start on promotions and new gear rather than having to farm for the seals later. In short, roll greed on all the drops in Amdapor Keep and The Wanderer’s Palace and turn those drops in every few runs. You will rack up a few thousand seals in the process. Most players do not realize this strategy exists and as a result you can will win most rolls.